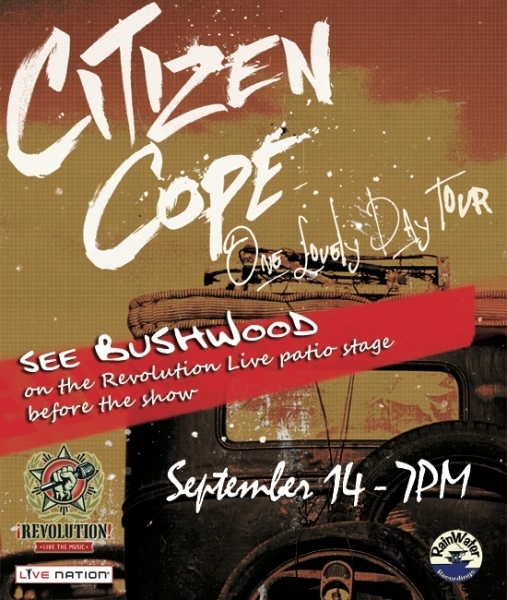 Citizen Cope (Clarence Greenwood) was born in Memphis, Greenwood is obviously the leader of the group, as he plays the keyboard, guitar, sings, and acts as a DJ, songwriter, and producer. Earlier this summer, he released his 6th studio album One Lovely Day. 3. The winner will be chosen on Thursday September 13th at noon. Your means of explaining everything in this article is truly fastidious, all can without difficulty understand it, Thanks a lot. right. This put up truly made my day. You can not imagine simply how a lot time I had spent for this information! site and want to know where you got this from or what the theme is called. of the contents from diverse sources and incorporate it into 1 write-up. ones. More From This Contributor: Are You Dressing for Success or Going by Department Store Suggestions. to allow the assets in the account to accumulate with tax-deferred status. A portfolio that is managed smartly is bound to pay good returns. If some one needs to be updated with most up-to-date technologies afterward he must be go to see this site and be up to date all the time. I stumbledupon iit I woll return once again since I bookmarked it. one is getting more from this site, and your views are fastidious in favor of new people. This is a tactic of elevating your firm above the competition. Carrying out Investigation by Reading Technology Critiques on Technology News Website. has a length of 2504.
you say it. You make it entertaining and you still care for to stay it smart. on making use of the registry repairing instrument. life stage that changes how a sim grows up.